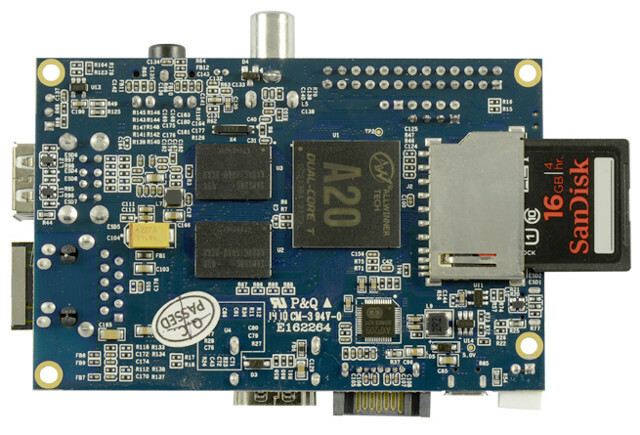 The Banana Pi board comes with an ARM7 1 Ghz dual core CPU and an ARM Mali400MP2 GPU. It features 1 GB of RAM, a Gigabit Ethernet port and SATA support. The board is about the same size as the Raspberry Pi, but the Banana Pi offers a lot more computing power.